You’ll see plenty of dog training articles that will talk about how to raise the perfect dog, but do they actually exist? Short answer – no! Just like with people, there are no absolutely perfect dogs. However, your dog can be well behaved and obedient with the right guidance and training. A good foundation, the best environment, and avoiding behavioral issues will all lead to a happy pup who is eager to please you. This may sound aggressive and off-putting to some, but it is really just about setting boundaries and providing your dog with leadership and guidance. If you can build a strong positive relationship with your dog from the beginning, your dog will reward you with obedience and love. Don’t remove your puppy from its litter too soon. Welcome your puppy into your home and give them some space of their own. Confinement is important. A crate or a small puppy proof space inside with some comforting toys is ideal. Make sure you have everything you need before you bring your puppy home. Have the right food, bowls, bedding, grooming equipment, treats, and toys. You may not realize it but your dog’s training will begin as soon as you walk through the door. Your dog will explore this new environment and take cues from you about what to do and what not to do. Expose your puppy to as many new environments and experiences as possible early on. Socializing with other dogs, animals, and new people will get your dog used to these interactions. They are less likely to become insecure or anxious later in life. Always carry training treats when out and about so you can reward your dog for good behavior and so that they learn to associate socializing with something positive. Give your new puppy plenty of exercise and mental stimulation. But also ensure they get plenty of rest and sleep. Expose your puppy early to a variety of exercise and play, inside and outside. Off leash areas where they can run around, swimming, games, and toys are all an important part of your puppy’s development. The right food is essential for a growing dog. Do your research before bringing your puppy home. You may choose to continue with the same food your puppy was brought up on. Or you may wish to change him to a raw food diet. If you are buying food for your dog, make sure you are getting the best quality food you can to give them the nutritional support they need to grow. PedMD has some good information on puppy nutrition. Part of raising the perfect dog is making sure your puppy is healthy. This is where regular health checks and vaccinations come in. Arm yourself with the right information and scout out your local vet before you bring your puppy home. Make sure you know what vaccinations your dog has already had, and when the next ones need to be scheduled. Your vet will be able to help you with scheduling right time for your dog’s health checks. Cause no problems when being walked on a leash. You’re probably saying, “hmm, that sounds pretty good.” And it does! So how do we go about making that a reality? Many dog trainers are stuck in the same useless loop as everyone else! “Now, let’s train him to sit, and then to shake hands, and then to bring us his toys, and…”. You might think that teaching your dog to sit, shake, or high five are good places to start with your training, but there are some things that are more important. Use positive reinforcement training techniques. Learn how to train your dog in a positive and productive way by praising good behavior instead of punishing bad behavior. See this article on the do’s and don’ts of positive reinforcement. Teaching your puppy not to bite is an important step that you should start immediately. Teaching your dog early on that biting is not ok will help prevent further behavioral problems later on. You can do this with redirection by making sure you have a suitable chew toy on hand for them. Or use one of the other training methods listed here. Potty training is another crucial step to having the perfect dog. Quick and easy housebreaking is doable with some patience, a good routine, and some positive reinforcement. Teach your dog to come when called. This important command will set up a lot of future training and make your outings much more pleasant and stress-free. Not correcting behavioral issues as they arise. If you allow your dog to repeat bad behavior, or worse, reward them for it, it will become a problem that will be difficult to correct. Punishing or yelling at your dog when he does something you don’t like. Positive reinforcement training is crucial here. Any kind of attention is a reward for your dog. So giving them attention, like yelling at them, will make them think that what they have just done is good. You are not spending enough time training your dog. Every day you should be looking for ways to praise and reward your dog for doing the right thing. You are not consistent. Use the same commands for your training and make sure everyone else in the family know and use the same commands. This will help reinforce those commands with your dog. The good news is that it’s not tough. 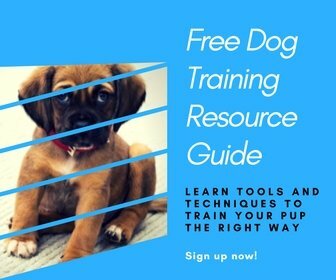 You just need to be getting your information from the right sources, like dog trainers who will teach your dog all these things as well as the truly important matters. One excellent series I recommend watching is by Doggy Dan. He takes you through everything in his video diary as he takes his puppy Moses through all these stages, beginning with 8 weeks old all the way through Moses’ first year. Each week Dan presents a series of lessons that should be learned at that exact stage in your puppy’s life. It covers all the fun stuff but also important matters like diet, health, and behavior. Start watching here. Remember: You can do what you’ve been doing and keep getting the same results, or you can do something different and finally get the results of which you’ve dreamed. Begin watching the first of Doggy Dan’s 250+ videos by clicking here. Dog Body Language: Learn What Your Dog Means!